In 1996 the International Table Tennis Federation (ITTF) launched a brand new premier competition - The ITTF Pro Tour and you can read about it here. 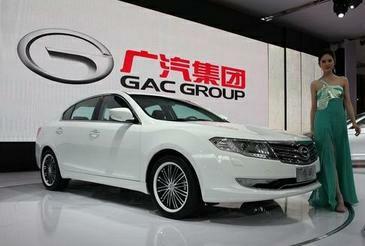 The new ITTF World Tour is sponsored by the China-based car manufacturer Guangzhou Automobile Group (GAC) and had a total prize fund of $2,500,000 and an end of season finale with a prize fund of $1,016,000 - the highest ever in the history of the sport. 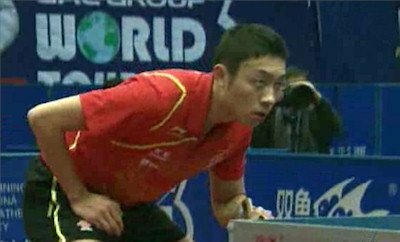 Although the ITTF World Tour consists of men's singles, women's singles, men's doubles and women's doubles, I'll be concentrating on the main event ... the men's singles. So here are the tournaments which made up the ITTF World Tour in 2012 and the winners of the Men's Singles. 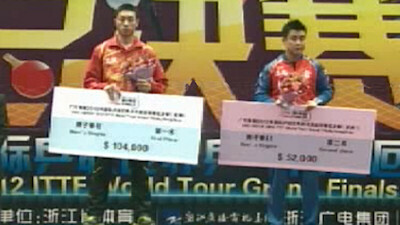 The best players in world table tennis gathered for the Grand Finals from 6-9 December 2012 in Hangzhou, China. Here is the list of the 16 men who were invited to take part in the 2012 Grand Finals men's singles event. 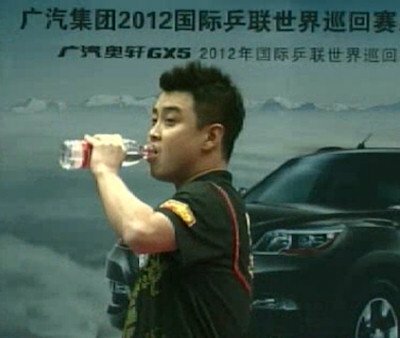 Several players accumulated sufficient Grand Prix points but they didn't meet the additional qualifying criteria of competing in at least five tournaments. So unfortunately they were not eligible to take part in the prestigious end of season grand finals (N/E).